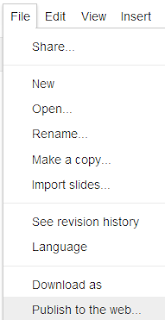 Login to your Gmail account and click 'Drive'. Another new window will open. 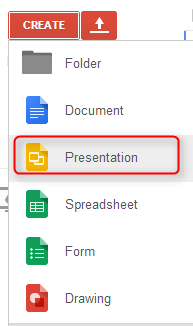 This is your Google presentation. 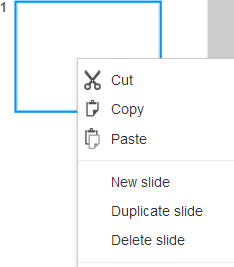 To create and edit new slides, use the top menu or RIGHT click on slides. 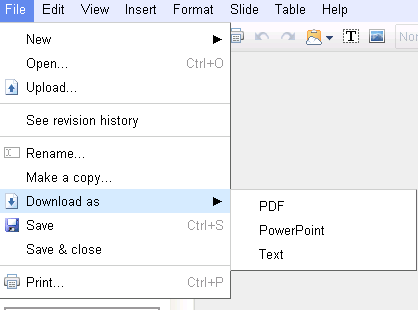 You can export your presentation as a PDF or Powerpoint file so that you can use it without an internet connection. 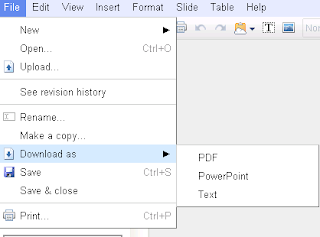 Click File/Download as/ and choose your desired file type. 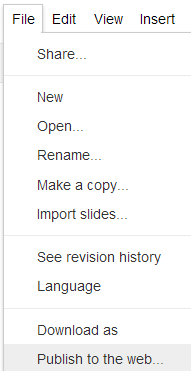 You can also publish this online others can see it. 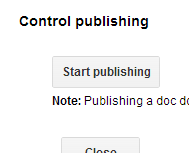 To do so, click 'File/Publish to the Web'. 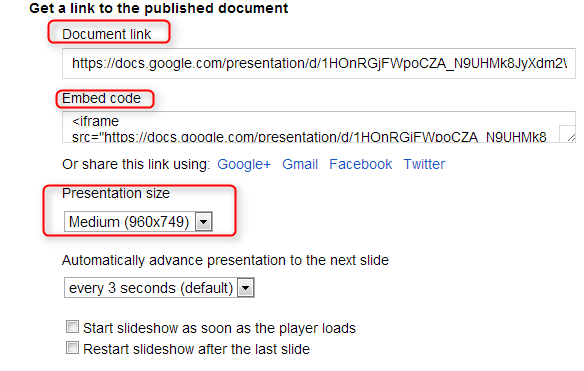 You will then see the URL (Document Link) and Embed Code (if you'd like to pubish this on your blog). For embed code, you can choose a size that fits best.